Visual communication plays an important role in every organization, whether they know it or not. It is estimated that 65% of people are what we call “visual learners,” meaning that they are able to retain information better when it is presented visually, rather than through text. Why then, do so many companies fail when it comes to providing their employees with excellent visual communication? Improving your visual communication one of the simplest, most important steps that companies can take for helping their employees to retain more information and make better decisions. How often are we presented information (such as stats and data) through a memo or verbally, when that information could be much better represented visually? The truth is that effective visual communication takes effort. Shooting out an email or memo with some basic information in it takes just a few seconds. Creating a visual aid for that same information could take a half hour or more. It’s time-consuming, but so important when it comes to vital topics within your company. The simplest and most effective change that companies can make to improve their visual communication is to shift resources and have staff that specializes in visual communication toward working on internal projects. Typically, your designers and data experts will be working in marketing, sales, and other portions of your company. They likely rarely work on internal documents — but they should. These are employees whose wages are already on the books. You don’t need to hire new people to deal with these issues. Not every topic needs to be presented visually. Picking and choosing the most important topics to create internal collateral for is the best course of action. That way you don’t have to pull your resources from other projects too often, and can still improve your visual communication internally. Beginning to incorporate internal communication work into the workload of designers, UX professionals, and data specialists can be a great way to improve your visual communication with minimal changes to your current processes. Even small changes like this can have a big effect on your ability to communicate important topics to your staff. Every meeting has a PowerPoint associated with it, that has become the standard practice in most office environments. However, that is only half of the battle. Most PowerPoint presentations contain only words and text-based information. How often does your boss go to the trouble to make a visual aid for the data they were presenting? Not often enough, most likely. PowerPoint presentations for meetings provide a perfect opportunity to up your visual communication game. Finding concepts and information that can be presented visually, and taking the time to make some quick visual aids will not only help your meeting attendees to retain more information, but it will help to hold their attention as well. Here at Organimi, you’ll hear us rail on and on about the importance of org charts. It’s our business. But the fact of the matter is that org charts are an absolutely essential tool for visual communication. Knowing the inner workings of your company, the positions that people hold, and who is working on what is hugely important for maintaining effectiveness. Keeping an updated org chart is essential for giving your tools the communication tools that they need to stay on top of things and delivering it in a visual way. Organimi allows you to create org charts with our simple to use drag-and-drop interface. With a few clicks, you can quickly import a .CSV of your employees that allow you to quickly populate and customize your org chart to fit your needs. 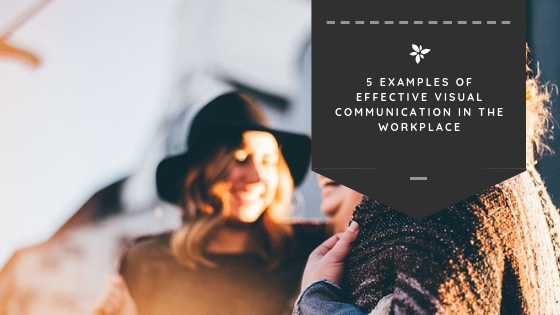 Create one for your entire organization, or hone in on specific locations and teams within your company, giving your staff the tools they need to communicate effectively. When you introduce a new process or task to your staff, how often to create an educational video to go along with it. Even a screen sharing video can be a great way to introduce people to new concepts and information in a way that will help them to follow along and retain the information that they’ve been given. Training and educational videos are a huge component of effective visual communication. You have to provide your teams with the materials that they need to do their job well. Videos help to get your point across in a way that everyone can appreciate. When you absolutely need to get a point across, there is nothing more effective than creating a display and putting that display in a highly trafficked area. Sending out a company-wide email blast is likely to be overlooked and ignored by a certain percentage of your team. Putting a well-designed display with the information front and center will not only help them to notice the information, it will make them more likely to retain it as well. Work with your designers to create professional displays that help to distribute your most important information internally and help adoption rates for new policies and processes. One often overlooked benefit of visual communication is that it improves your company culture over time. When your employees feel like management has gone to great lengths to deliver information, they’ll be more likely to listen and take it to heart. They’ll also infuse that kind of work ethic into their own efforts to deliver information. By making visual communication a company-wide practice, you set everyone up for success.